The Pacsafe RFIDsleeve 50 is a RFID blocking passport protector. This lightweight passport protector keeps your passport safe from e-pickpockets and identity thieves. By simply sliding your passport into this lightweight RFID blocking sleeve you can relax knowing your information is safe. Pacsafe's RFID sleeve 50 sleeve material is water resistant and not prone to tearing. 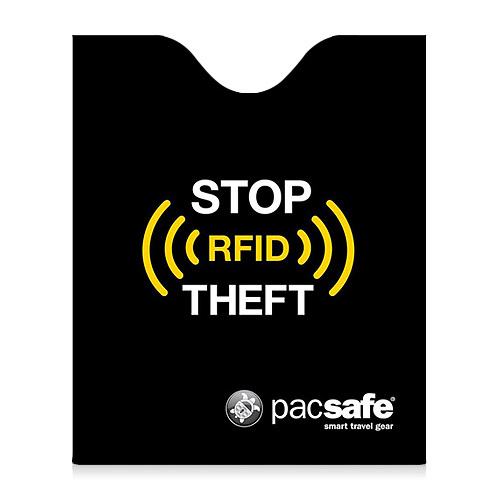 The Pacsafe RFIDsleeve 50-Black has many exciting features for users of all types. 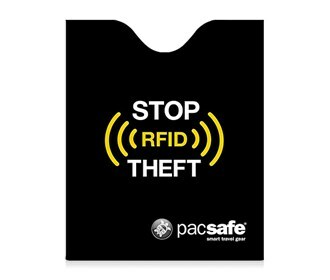 You can extend the lifetime of your Pacsafe RFIDsleeve 50-Black with the purchase of a FactoryOutletStore Factory Protection Plan. 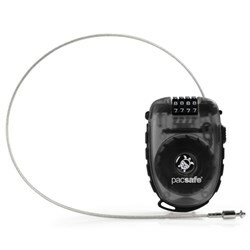 See the Pacsafe RFIDsleeve 50-Black gallery images above for more product views. 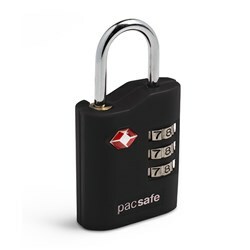 FactoryOutletStore stocks a full line of accessories like 4 Dial Retractable Cable Lock and Combination Lock for the Pacsafe RFIDsleeve 50-Black. The Pacsafe RFIDsleeve 50-Black is sold as a Brand New Unopened Item.